We are a diverse, welcoming congregation. 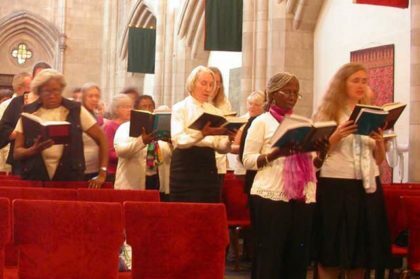 Our congregation provides many opportunities for friendship and community fellowship, intellectual stimulation, spiritual growth, involvement in social justice and other important issues, and pastoral support and mutual support of one another. Ours is a diverse community of life-long learning and growing. We have no creed, but are joined together in the spirit of love and the light of our mission and vision, and Unitarian Universalist principles , which you will find elsewhere on this web site. We are a congregation for children, youth and adults of all ages. We are intentionally inclusive, embracing and appreciating people of every age, race, culture, gender, sexual orientation, ability, and economic circumstance. We welcome people from all religious backgrounds and beliefs and we support you in your seeking and growing. 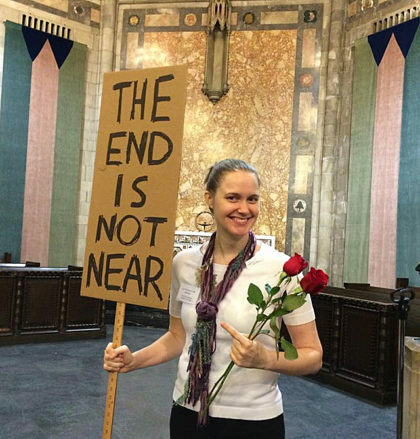 First Unitarian Church (FirstU) has been a voice of liberal religion in Chicago since 1836. 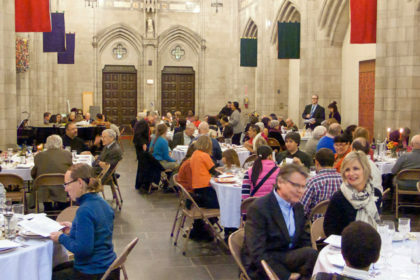 We have been in our Hyde Park church since 1897; our building is located very near the University of Chicago campus. We are an intentionally inclusive church, welcoming individuals who wish to join in inquiry, worship and social action. We have an outstanding music program. We have vibrant small groups reflecting the theological diversity in our congregation, and Chalice Circles providing opportunities for exploration and support. We have a life-span religious education program, with a professional director guiding our children and youth program, and members leading programs for adults. 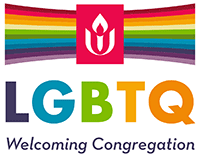 Our congregation is LGBTQ friendly and has long been one of the most racially integrated UU groups, and we have worked to promote racial equality in the neighborhood and elsewhere. The Chicago Children’s Choir was founded at our church (in 1957) to unite children of diverse racial and socioeconomic status in a love of music; this group has become one of the cultural stars of Chicago and the nation. A neighborhood CCC group now meets at First Church.